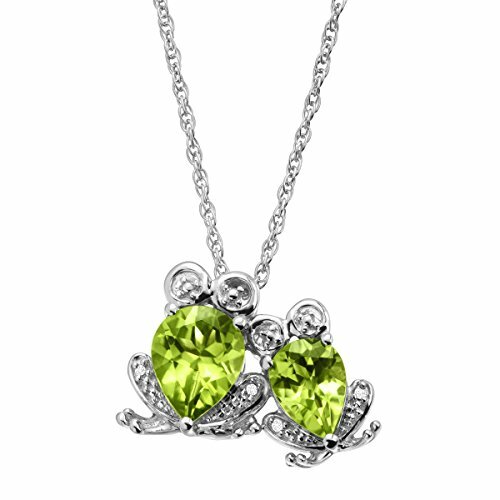 This is an adorable frog pendant necklace. 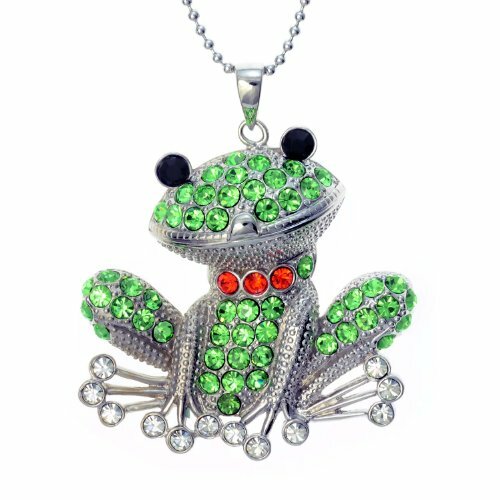 This sparkling green rhinestone crystals embellished frog will light up your look! It comes on an 18" snake chain. Your necklace will come to you in a nice gift box. Will make a Great Gift ! Features:Material: Purity:925Stone Type_1:Crystals by SwarovskirLength of Item:37 mmMaterial: Sterling SilverWidth of Item:17 mmJewelry Type:Pendants & CharmsBail Width:4 mmMaterial: Color:WhiteBail Length:7 mmStone Type (Other)_2:MarcasiteAll weights and measurements are approximate and may vary slightly from the listed information. 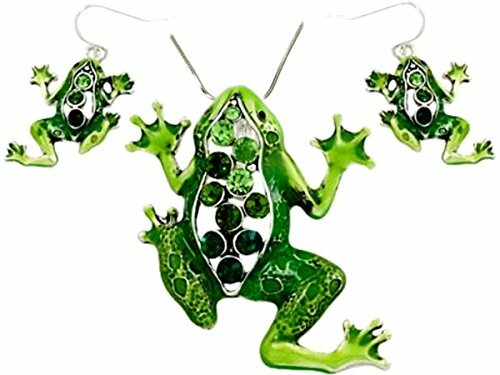 This is a Beautiful Emerald Green Frog Pendant Necklace and Earrings Set . Pendant Dimension: 2 "L x 1 1/2" W Colors are absolutely beautiful ! Earrings are about 1"drop. This set comes with 24" chain. Gift Boxed .Will make a Perfect Gift ! 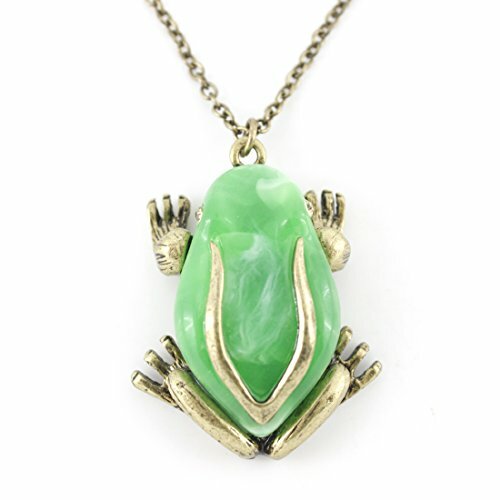 PammyJ Crystal Happy Green Frog Pendant Necklace, 24"
This is such an adorable and fun frog charm necklace! 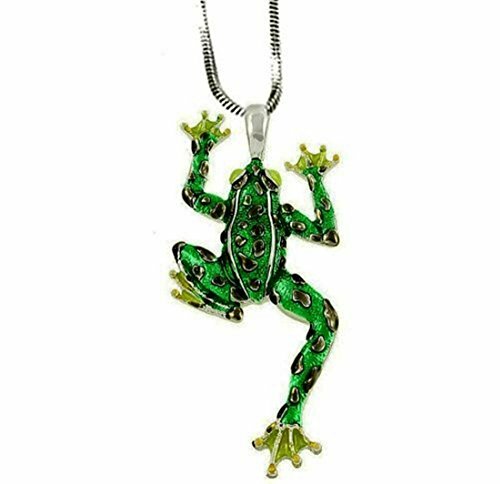 Frog pendant is 40x40mm with light green sparkling rhinestones embedded over the whole pendant with a few red rhinestones for sparkle as well as two bold black eyes. Chain is 24". 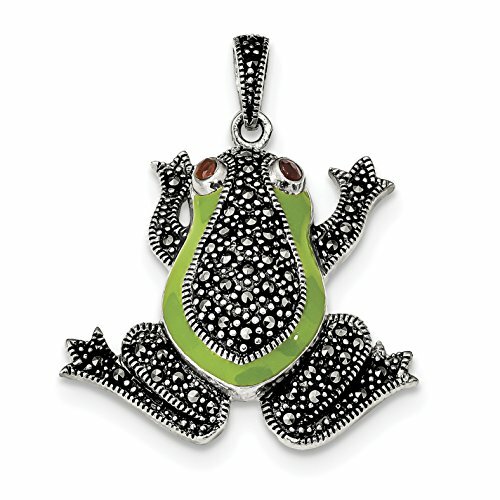 August's birthstone takes on a playful new look with this unique frog duo pendant! Crafted in sterling silver, this piece features pear-cut natural peridot, totaling 2 3/4 ct, with round-cut diamond accents for added shine. Piece measures 5/8 by 3/4 inches. Comes with a sterling silver 18-inch rope chain with a spring ring clasp. Fun and spunky! 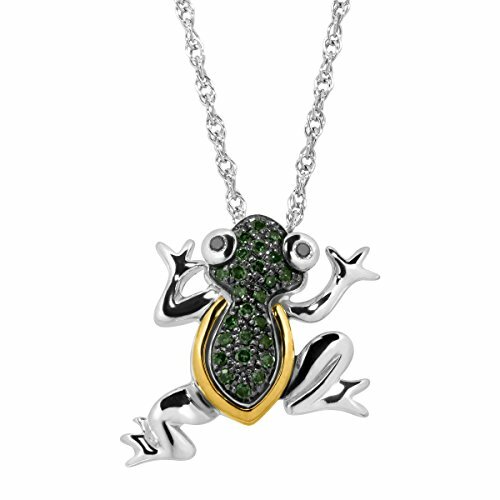 This frog motif pendant features meticulous detail - from a 14K gold-lined and green diamond-studded shell to the bezel-set black diamond eyes to the webbed limbs crafted in gleaming sterling silver. Piece measures 5/8 by 9/16 inches. Comes with a sterling silver 18-inch rope chain with a spring ring clasp. 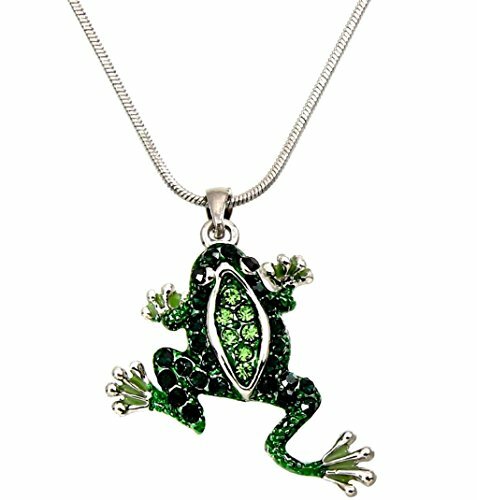 This is a Beautiful Enameled Frog Pendant Necklace with 24 " chain . This colorful Frog is hand made and hand painted and looks adorable . Pendant Dimension: 1 1/2 inch W x 3 1/4 inches H . Comes Gift Boxed . Will make a Great Gift ! 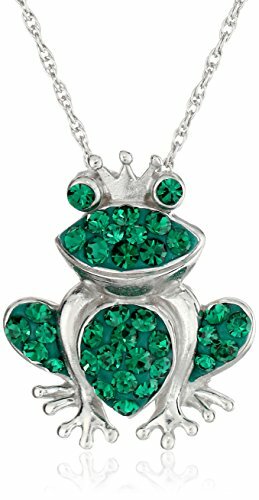 Sterling Silver Emerald-Green Crystal Frog Pendant Necklace, 18"